1 SOVEREIGN OR SOVEREIGNTY 1.Supreme, paramount, and above all. 2.The highest ruler, having supreme rank, and authority over all. 3.Subject to no one higher, takes orders from no one, and answers to no one higher. 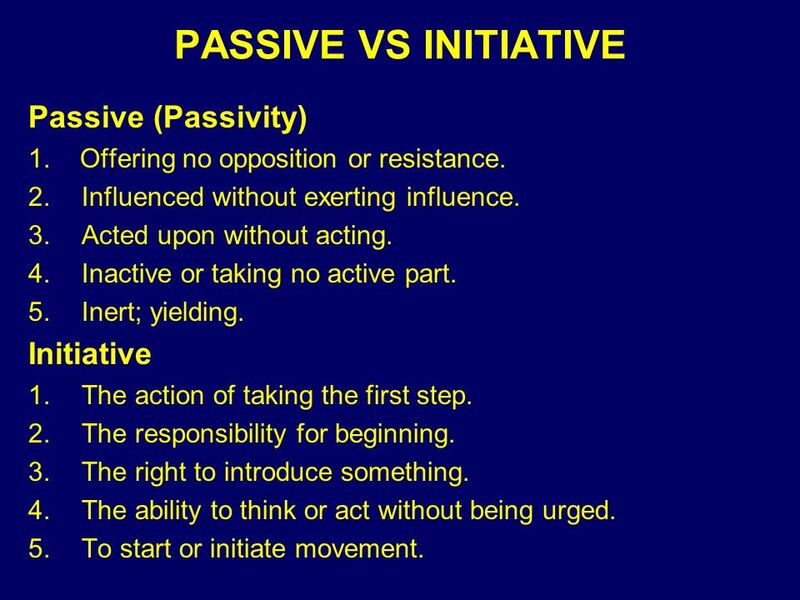 2 PASSIVE VS INITIATIVE Passive (Passivity) 1. Offering no opposition or resistance. 2.Influenced without exerting influence. 3.Acted upon without acting. 4.Inactive or taking no active part. 5.Inert; yielding. Initiative 1.The action of taking the first step. 2.The responsibility for beginning. 3.The right to introduce something. 4.The ability to think or act without being urged. 5.To start or initiate movement. 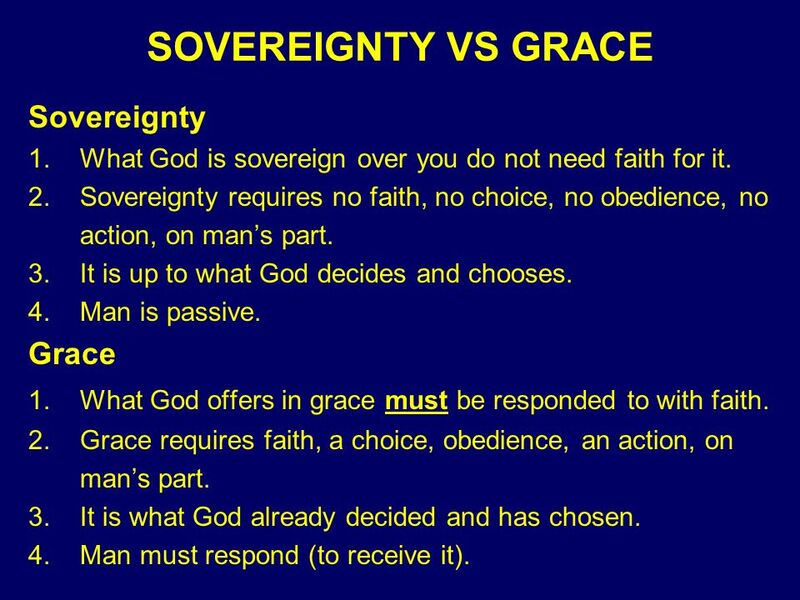 3 SOVEREIGNTY VS GRACE Sovereignty 1. What God is sovereign over you do not need faith for it. 2. Sovereignty requires no faith, no choice, no obedience, no action, on mans part. 3. It is up to what God decides and chooses. 4. Man is passive. Grace 1. What God offers in grace must be responded to with faith. 2. Grace requires faith, a choice, obedience, an action, on mans part. 3. It is what God already decided and has chosen. 4. Man must respond (to receive it). 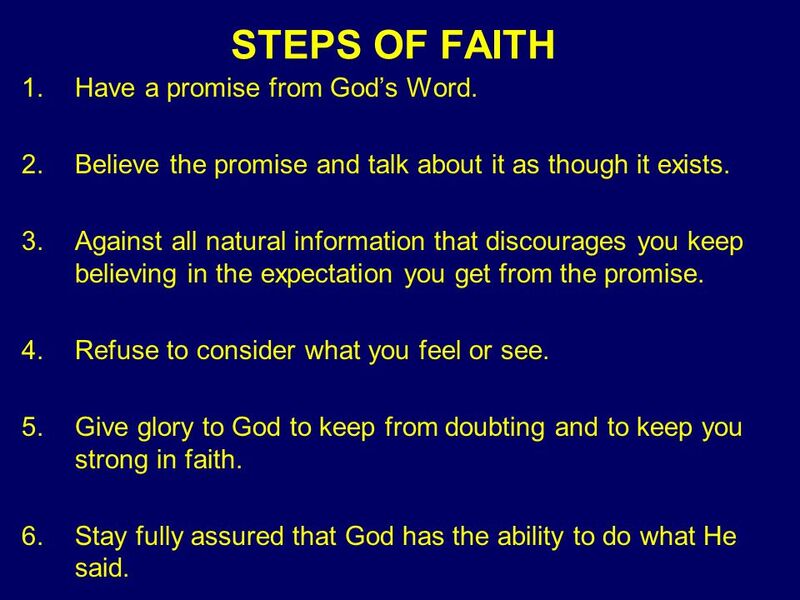 4 STEPS OF FAITH 1.Have a promise from Gods Word. 2.Believe the promise and talk about it as though it exists. 3.Against all natural information that discourages you keep believing in the expectation you get from the promise. 4.Refuse to consider what you feel or see. 5.Give glory to God to keep from doubting and to keep you strong in faith. 6.Stay fully assured that God has the ability to do what He said. 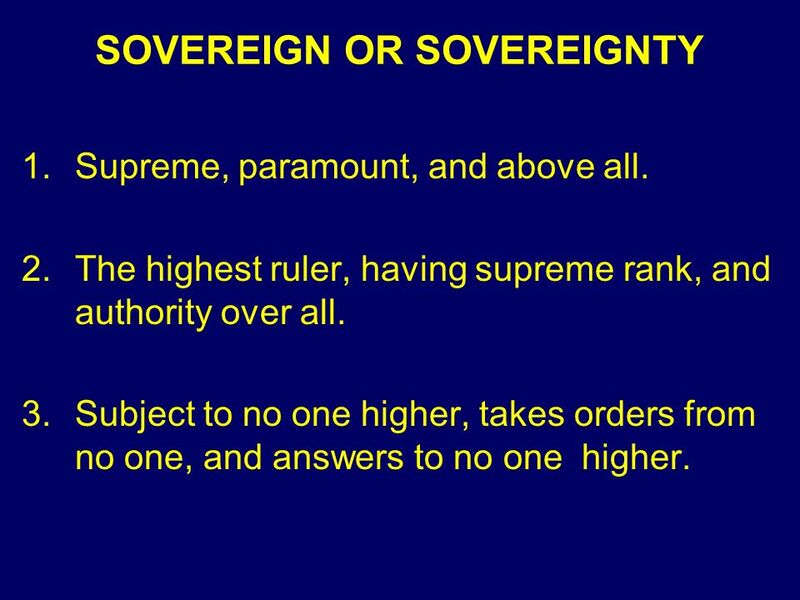 Download ppt "SOVEREIGN OR SOVEREIGNTY 1.Supreme, paramount, and above all. 2.The highest ruler, having supreme rank, and authority over all. 3.Subject to no one higher,"
Be Strong Joshua 1:9. Be Strong Joshua 1:9 4X Be strong & courageous Do not be terrified Do not be discouraged. Gripping Grace REVIEW GRACE Humility - am I teachable? Word of God – Do I know his report? Spirit of God- Do I know his ‘nudge’? Obedience – Am I doing. Head and Eyes Forward! Gal 3. What is the Difference between the Wise and the Foolish? The key is Luke 24:25 The key is Luke 24:25 25 And He (Jesus) said. 24 The God who made the world and everything in it, being Lord of heaven and earth, does not live in temples made by man, 25 nor is he served by human. Lesson 2 Your friends are trying to persuade you to go to a party, but you aren’t sure because you don’t know the person who’s throwing the party. Peer. Salvation By Grace and Eternal Security Foundations for Life. Romans 9: Grace & Election : God’s Salvation & Divine Sovereignty. RUTH The Story of God’s Loving Kindness. THE BELIEVERS GUIDANCE SYSTEM Ruth 2:4-16. Seeking God During Grief July 19. Think About It Consider the quote: Which do you think is more important – faith or hope? Why? “Faith is that which lays. Finding And Staying On God’s Path. Joshua 1:6-8 "Be strong and courageous, for you shall give this people possession of the land which I swore to their. Joshua: The adventure of faith Joshua 1:1-9 New beginnings … for the people of God. THE GOSPEL OF JOHN III. The Opposition to the Son of God (5:1–12:50) A. At The Feast In Jerusalem (Jn 5:1-47) B.During The Passover (Jn 6:1-71) C. During. Sermon Topics This Week How I Read The Bible The Problem Of Biblical Illiteracy Why I Love The Bible Why I Believe The Bible Why I Obey The Bible How.